Did this spirit follow us around? Nice mauve colour! 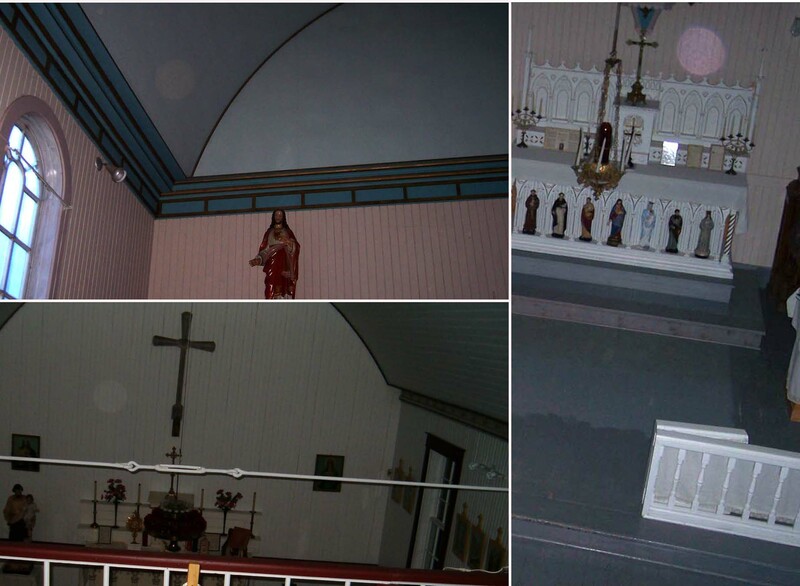 We did an investigation at the Lac La Biche Mission on June 25, 2005 and experienced a few glitches during that time – a four camera system did not record for some strange reason, a small digital camera was lost and a $20 bill was lost – where there wasn’t any people around (just in case you’re thinking “hmm, really?” Yes, they take objects AND money). 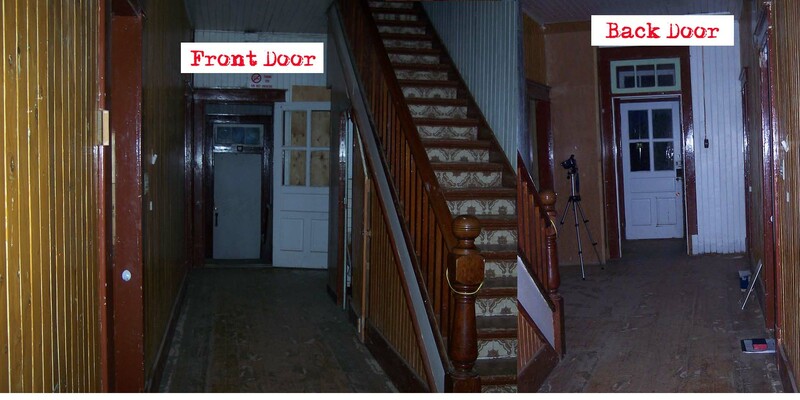 The rectory, church and nunnery were the focus of our investigation. We did not check any other buildings on the site (schoolhouse, residence & main office, chicken coop) but did venture across the road from the Mission to a cemetery. Rona felt a room at the back of the church was used for clandestine affairs (could have been recent, not back in history). The nun’s bedroom on the 3rd floor of the nunnery where the children dormitory is had loads of dead flies and Rona was sensitive to activity in the area and had an impression of a small girl called Clara. 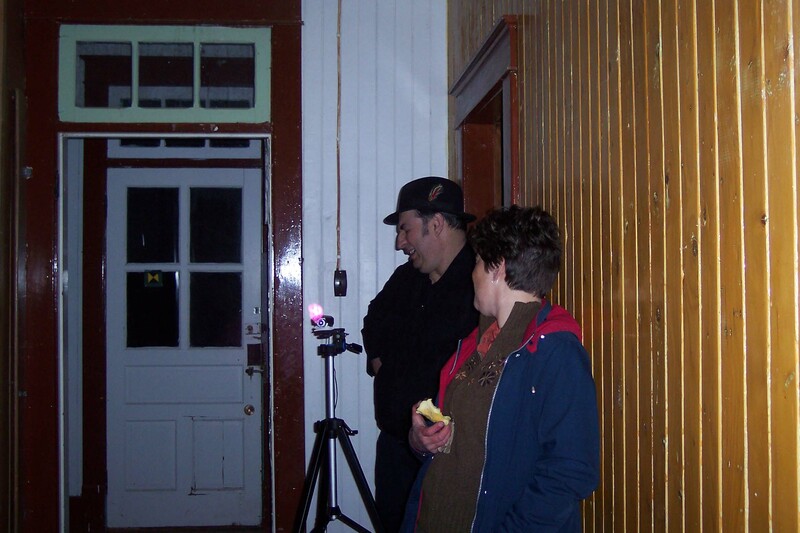 But with the failed camera system we got nothing other than orbs and I think the sound recordings were mostly done in the rectory. I did not have the infrared cameras at the time of that investigation so expect better results in future investigations. I personally didn’t spend much time in the rectory but others in the group did because Rona felt there was a young priest who was questioning coming to the mission and was having second thoughts about his vocation. He was “sorry he ever came to this god-forsaken place”. 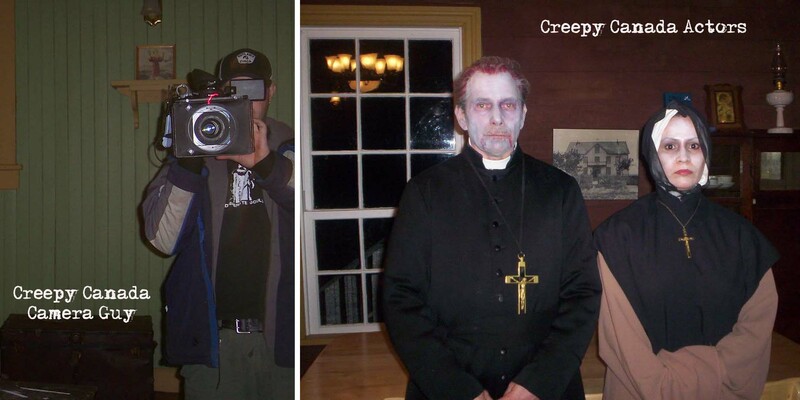 Creepy Canada crew person and actors. We were at Lac La Biche to research it before the shoot for Creepy Canada. Sexual confusion was also experienced among the male priests. The dining room was a negative and oppressive place to be. Women were not allowed in the rectory and Mission staff indicate feedback from female visitors touring the rectory get the feeling that they are not welcome there. More questions than answers were raised which can only be solved by further investigation. Spirits were out and about in the night. 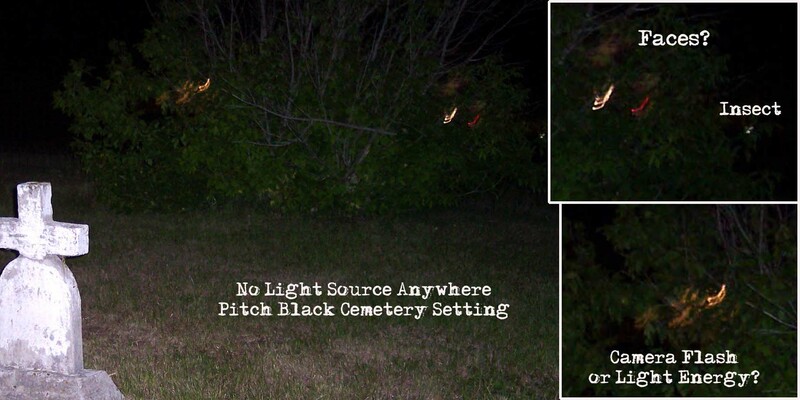 Cemetery where there were no lights in or out of the cemetery to create the light anomalies. Part of it could be attributed to the camera flash – but not everything. 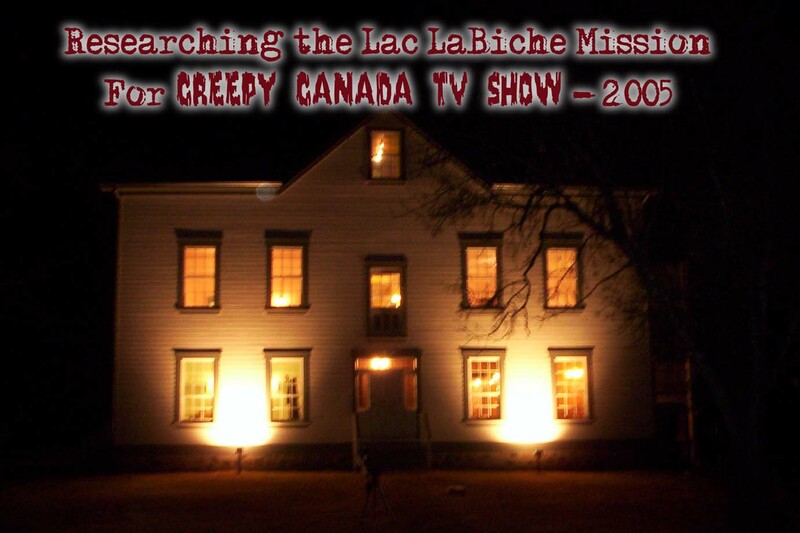 We went back to the Mission on November 2nd, 2005 to shoot an episode with Creepy Canada. This time, we spent a lot of time in the rectory. Lac la Biche Mission is full of spirits, especially in the rectory where the priests resided. When we set up the infrared camera, immediately, orbs began traveling straight to us and the camera. We captured ectoplasm at least twice on camera. It wasn’t our breath, even though it was cool in the rectory. 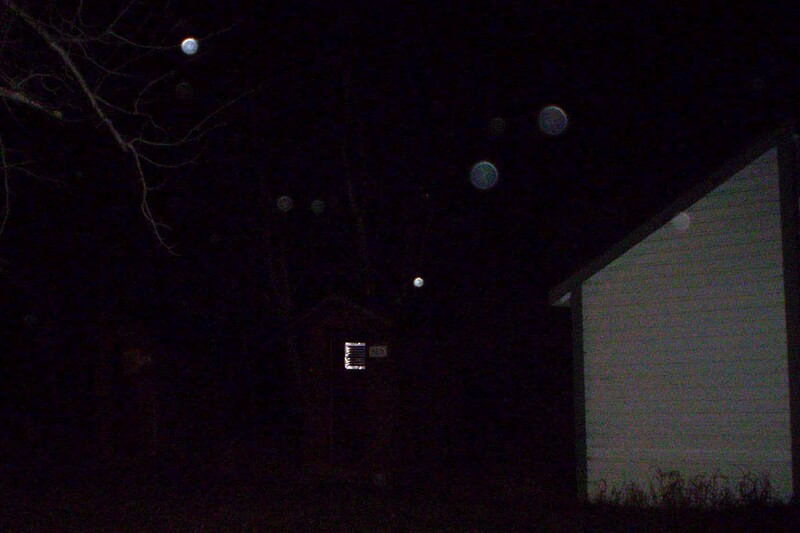 When we asked if the spirits could produce the ectoplasm again, some more appeared in front of the camera immediately. Rectory Doors. 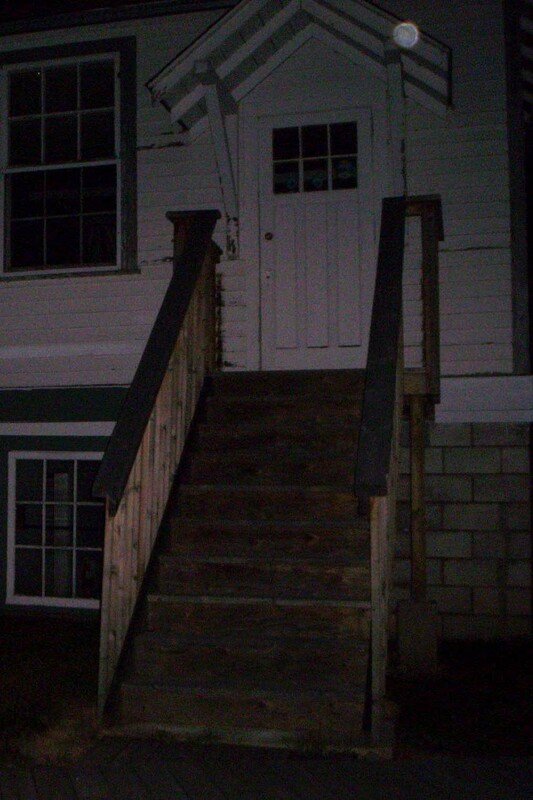 Where ectoplasm occurred on video.Front door locked on us (it was a priest’s spirit that did it) and it was a latch handle. Ben Myckan and Lucy, the curator, at the back of the Rectory. The priest spirits LOVED Lucy. 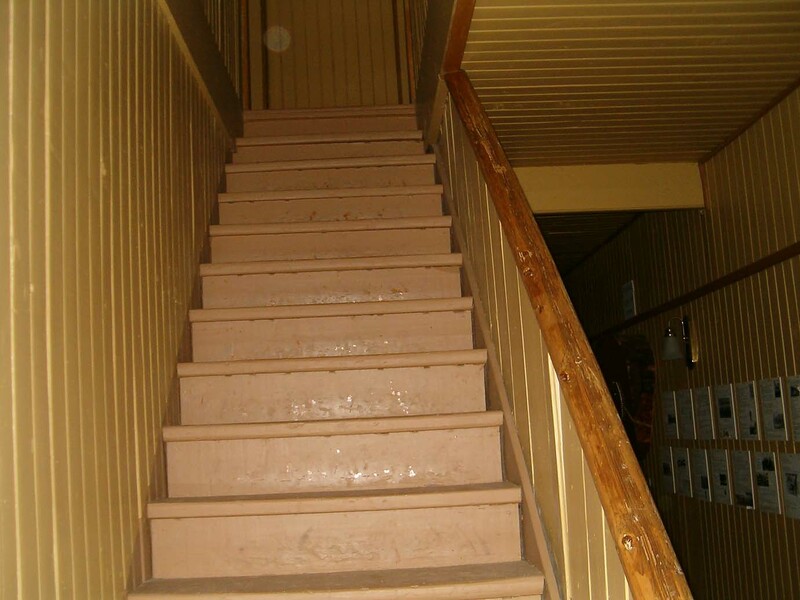 NOTE: The Lac La Biche Rectory building was constructed in the early 1920’s and sadly, burned down in 2009.